We love this car seat, was a little unsure to start with about the impact sheild but my little boy took to it right away. He can rest his head on it when sleeping and play with toys on it when awake. It seems very safe & no chance of a child being able to get out of it themselves! It fits onto to car vert easily with isofix. It is quite expensive compared to some but i would definitely say its worth it. 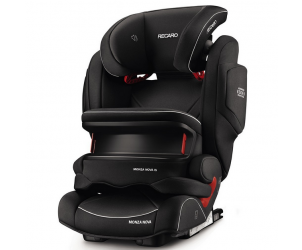 The other slight downside wod be that its difficult to get the child secured in if they are resisting and throwing a tantrum but lets face it that is difficult in any car seat. Overall a really fab seat! Cannot fault this car seat whatsoever! I had problems with my 4 year old son constantly undoing his career buckle and taking his arms out of the straps so I decided it was time to find a new car seat for him and I came across this one! And I was absolutely in love! One of the best things I've brought for my son ever! Provides safe travel for your child. Doesn't incline enough to allow the child to rest. Although this isn't the most comfortable car seat, it provides really safe travel. I would argue that is the most important factor when choosing the right car seat for your child. 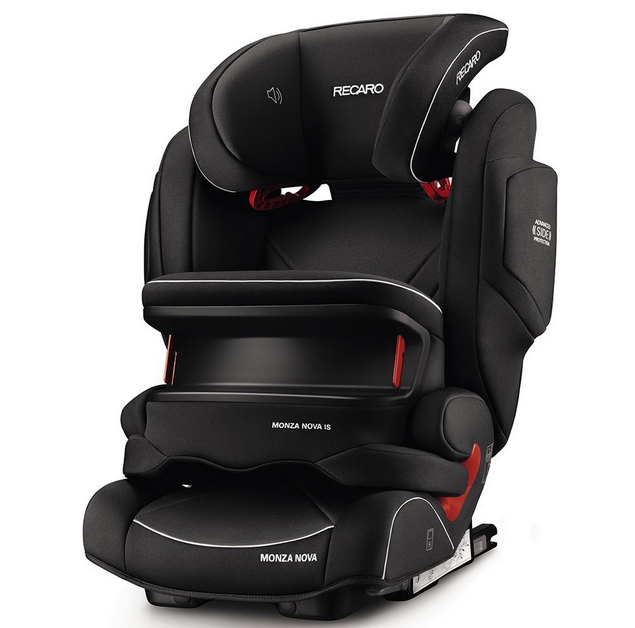 Longevity - it grows with your child with its 11 way height adjustable headrest. Comprehensive Safety System - including an impact shield (for group I use), maximum side impact protecton, adjustable headrest for superior head support (even during sleep), reinforced armrests for the best hip protection, and integrated seatfix connectors for secure installation in your car. Superior Comfort - a foam seat which adapts to the body and provides proper support, and an air circulation system to ensure good ventilation in the heat. Innovation - with the integrated MP3 connection RECARO sound system, encourages your child to keep their head in the protective headrest zone.